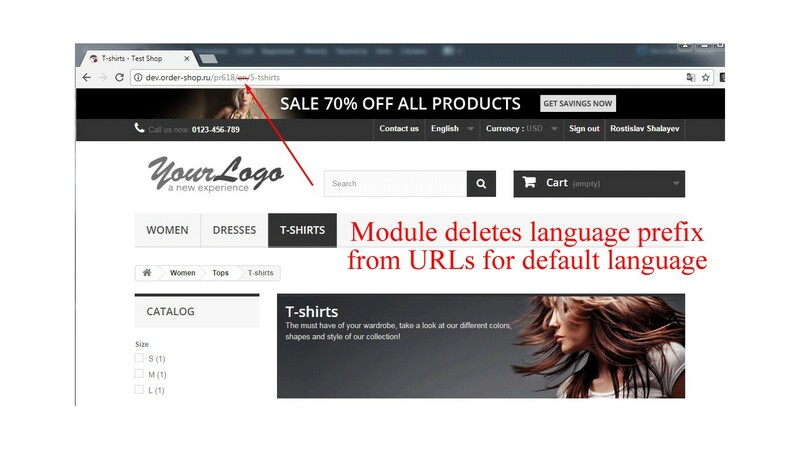 The module removes language prefixes for the default language of your store. The module removes language prefixes for the default language of your store, for example, instead of http://site.com/en/index.php it will be http://site.com/index.php, as if the store remained monolingual! For other languages, the prefix retains. Does your single-language shop already work? You want to add new languages, but the URLs will change and SEO rankings will suffer - the language prefix is added, when there are two or more languages. Use the Delete Language Prefix module to avoid it. You do not loose the already acquired shop SEO Ranking when you make your store multilingual. All early indexed page URLs will be saved for default shop language.